The Irish Draught Horse is considered to be one of the strongest and toughest horse breeds in the entire world. Being native to Ireland, the species was initially bred for farm use, but it gradually became a popular breed for events such as horse racing, show jumping, and other equestrian events. 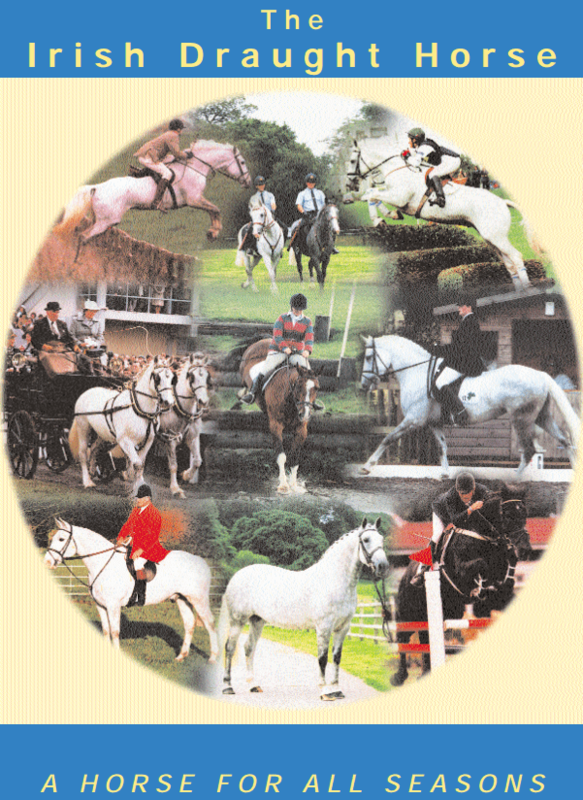 Over the years, the horse breeders have used several cross-breeding techniques to create the most powerful, muscular, and warm-blooded variant, which has indeed led to several thorough-bred Irish Sport horses exerting their dominance in various horse-related sports categories. Although automobiles are being considered as the most significant invention that mobilised human society, the automobile industry has only been with us for the last 150 years. Prior to the invention of the internal combustion engine, horses have been the primary form of transportation that enabled humankind to travel faster and further than any human being. For more than 6000 years, horses contributed massively to the development of the human civilisation and still remain as one of the most popular mammals for entertainment and creative purposes. The Irish Draught is one of the best specimens that have sustained the years of refinement and honing of breeding technologies, and in this article, we will take a closer look at the species in general, along with the intrinsic characteristics that define one of the toughest and human-friendly steeds on the planet. Gentlemen, behold! Here is the ultimate"Buying an Irish Horse Guide"! 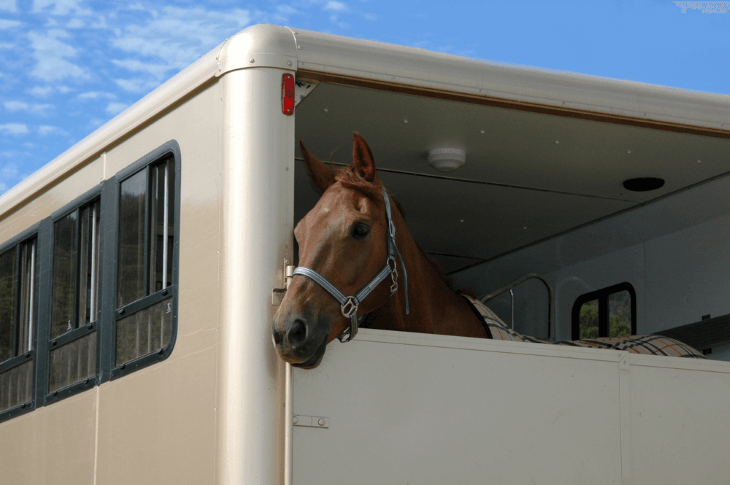 Transportation can be quite the hassle for horse owners, especially if horses are transported for eventing and equestrian competitions throughout the year. 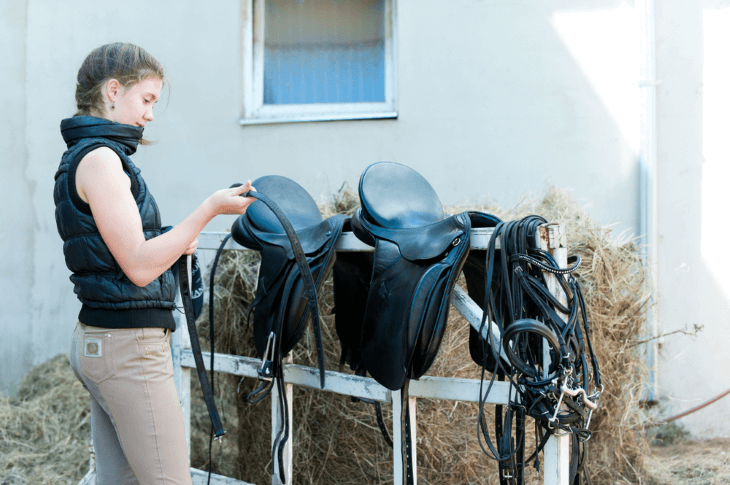 If you are planning on buying a horse, here are some of the most important equipment considerations, which apply to both first-time and existing horse owners. 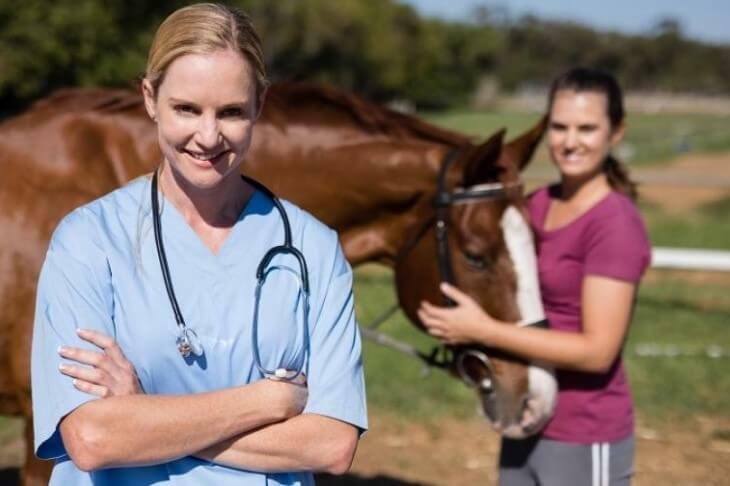 Modern-day horse training chiefly deals with preparing a horse for dressage, show jumping, equestrian events, races, and other horse-related shows such as movies. The Irish Draught horse is easily recognisable for their lean frame, muscular look, excellent bone structure, and pleasant attitude, which makes them the perfect domesticated animals for the farm, as well as the turf. These breeds are known for their temperament, learning capabilities, compliance, and the soundness to work throughout the week with little to no persuasion. 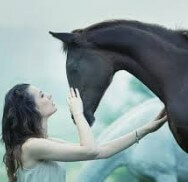 These creatures also possess a unique thinking capability and an unprecedented emotional intelligence, which have resulted in a docile, kind, and intelligent nature that we have come to love from Irish horses. The supernatural ability of the Irish Draught to jump massive heights, along with excellent stamina, are some of the important attributes that make them a permanent fixture in horse shows and equestrian events across the world. The breed’s strength and flexibility in movements were derived from centuries of careful breeding, making them suitable for riders of all age groups. These steeds are also extensively used for hunting, as police mounts, and as farm animals, but nowadays, it is mostly used in equestrian sports and similar activities. Equestrian sports such as horse racing, show jumping, and eventing, require the horse and the rider to perform together to put on a show and win the ultimate prize. The heft of the horse or its pedigree doesn’t matter, as it all comes down to the emotional status of both performers at the time where it counts the most. Therefore, horses are bred and trained through rigorous programs to develop their cognitive skills, thinking ability, and compliance, which will ultimately pay dividends in competitions and on the turf. 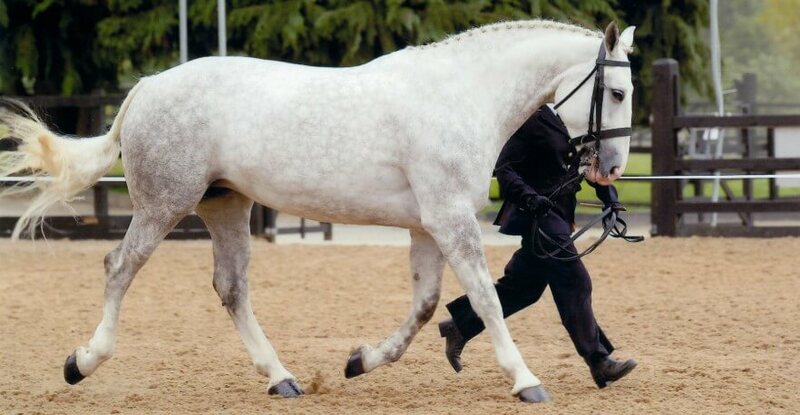 The Irish Draught horse is renowned for its strength, streamlined frame, and other emotional characteristics, but they are bred with other thoroughbreds and warmblood species to create what is known as the Irish Draught Sport Horse. These variants are also known as the Irish Hunter, which although considered as a different breed, come under the Irish Draught Horse category. They are known to marry some of the most excellent qualities of their parents, such as endurance, speed, athleticism, sensitivity, and honesty, which enables them to compete at the top in various equestrian events with a massive rate of success. Online bookmakers also prefer giving a low odds on Irish Draught or Irish Draught Sport horses in horse betting, primarily due to the breeds’ ability to make a difference in the final outcome. The Irish Draught breed may have different standards in different countries, but the breed standards defined by the Irish Draught Horse Breeders Association (IDHBA) is often considered to be the default benchmark for breeders worldwide. The IDHBA terms the breed as a ‘versatile, powerful and athletic animal with substance and quality.’ The Irish Draught is also included in the World Horse Walfare rescuing project. Although the definition is quite broad in its interpretation, there are some unique features of the breed that set it apart from the other species. 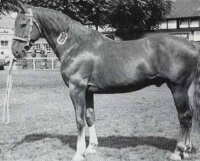 The Irish Draught has pretty large dimensions, with an average stallion measuring anywhere from 62 inches to 67 inches, but it is not heavy or feathery as the name suggests. 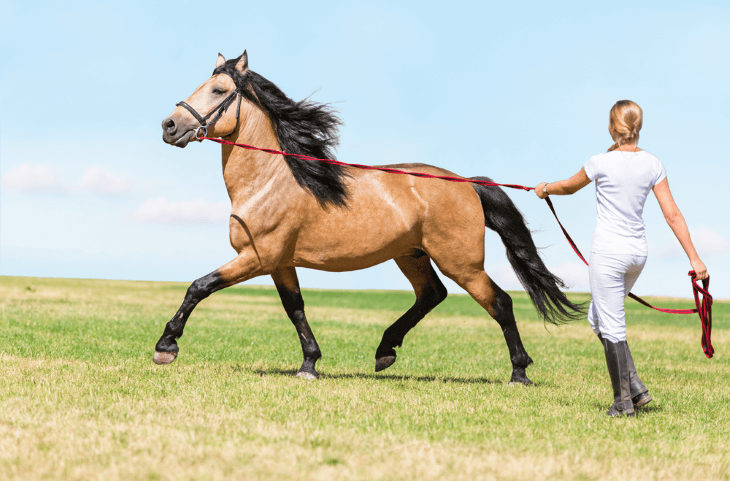 The body is all muscle with a clean bone structure, along with a pretty strong hindquarter that surely helps the breed in its jumping ability. Coming to the front, the chest is not as beefy or broad as the other breeds, but it is muscular and lean, which helps in hauling itself up through the jumps or changing direction swiftly. The legs are quite long and skinny, with the bone measuring around 9.1 inches. The head is characterised by a broad forehead, flanked by long ears and eyes that are optimally set apart for maximum visibility. 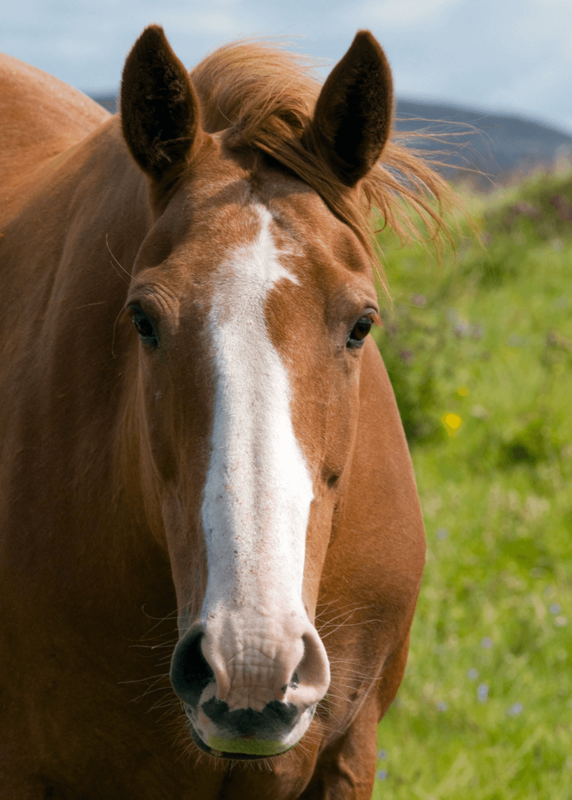 One of the primary considerations for the breed is for the head to be smooth and pleasant, as horses with coarse or hatchet heads are typically avoided. The jawbone is also quite wide, which can comfortably accommodate a gullet and leave plenty of room for the horse to breathe. The Irish breeds are also known for their whole strong colours that avoid white legs above the knees, but the horses can be grey occasionally.